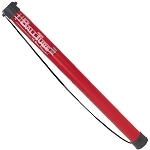 Tennis Court Supply is proud to be your one-stop-shop for tennis court equipment and accessories. With over 35 years of experience in tennis court construction and management, we know what you need to keep your court in shape. 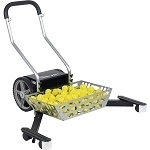 Tennis ball carts and pick-ups are very important equipment for your court, as they provide convenient storage, transport, and cleanup of numerous tennis balls. 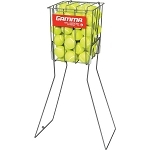 With ball baskets and ball carts you can keep your players and instructors supplied with plenty of tennis balls wherever they need them. Ball tubes and ball mowers provide a convenient way to pick up tennis balls from your court without tediously bending over and ending up with back pain. If you have any questions about our products or about maintaining your tennis court, feel free to get in touch with us.